PR Newswire specializes in press release distribution services for small business marketing, corporate public relations and investor relations, government and other organizations. They hired Aimee Weber Studio to help them bring their press release services into Second Life by way of public kiosks. 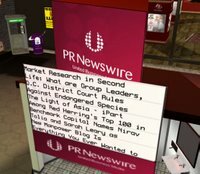 The technology allows users to submit press releases for real world or Second Life events which can be read via distributed kiosks. 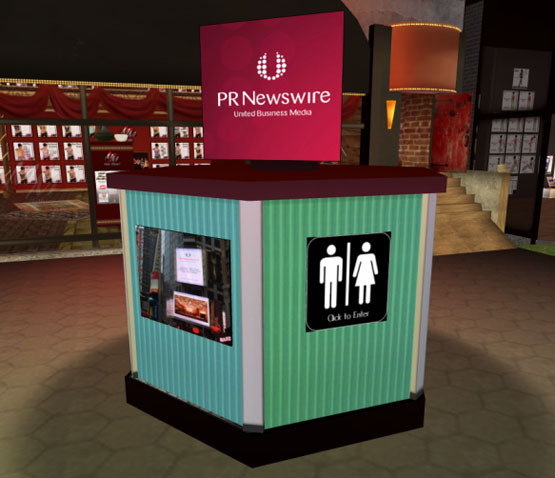 The kiosks themselves are a playful, tongue-in-cheek treatment of the otherwise serious PR world featuring a dressing room and a bathroom.